Healthy ones. Pretty much. AND these ones have ROASTED GARLIC in them!! I'm even gonna show you how to make roasted garlic, in case you didn't know (I totally didn't before I made these). Wanna hear a funny mashed potato story? Up until...I don't know...like...college(?) 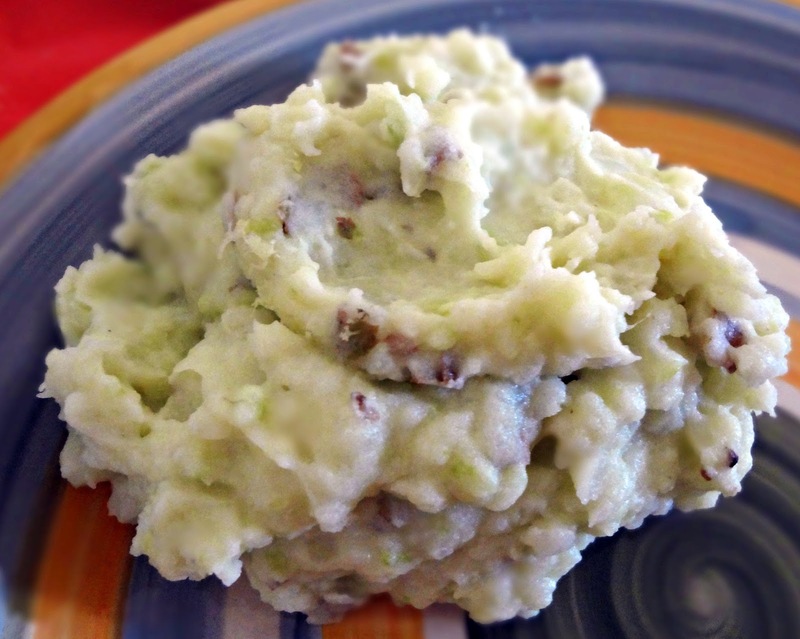 I would only eat 1 kind of mashed potatoes: Hungry Jack instant mashed potatoes, made very thick and "lumpy". For a long time I had a very specific butter regimen as well ("squeeze" butter in concentric circles on the pile of mashed potatoes and a big hunk of "spread" Country Crock in the middle). I was a little OCD about food. Also, boy that was a lot of butter. It's a miracle I wasn't obese. Why did I only like instant? I imagine because that was what I had been raised on. 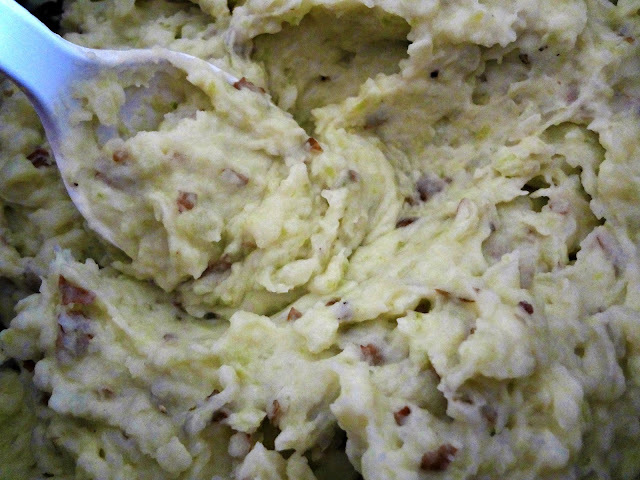 Anyway, I eventually figured out that real mashed potatoes can be totally delicious, and I've never looked back since. I still like my potatoes thicker, though. So I suppose some things stick. I promise I don't do that thing with the butter anymore....actually I usually don't put any butter on mashed potatoes...they usually have enough that was made into them. I've overcompensated it seems. Do any of you have weird food neuroses from your youth? 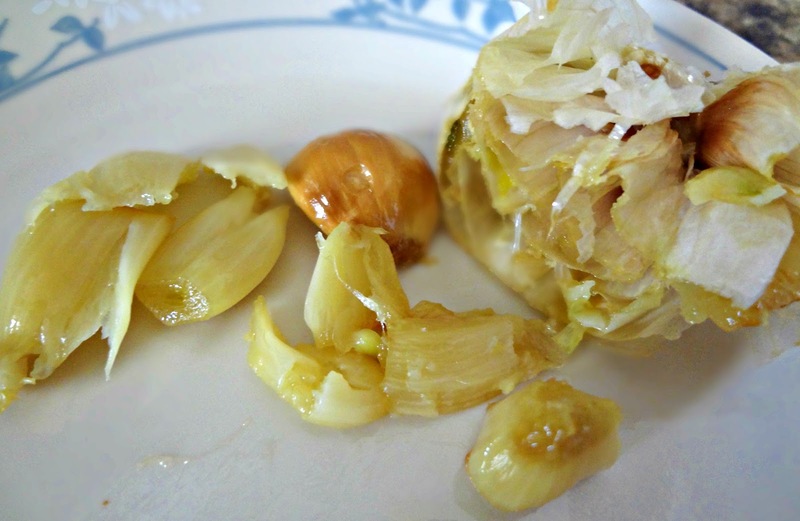 Place the garlic bulb on a sheet of tin foil and drizzle 1 tsp. olive oil on the top (the cut off portion). Scrunch foil up around the garlic (as pictured above). 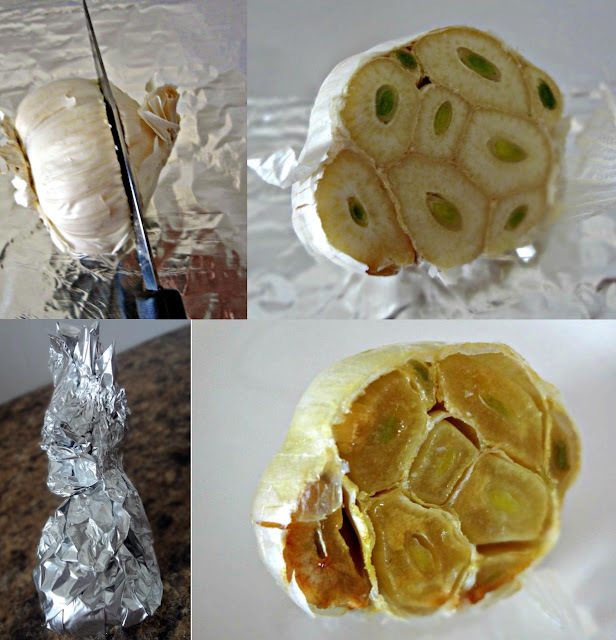 Put the foil encased garlic bulb on a baking sheet and bake in the oven 20-25 minutes. Remove from foil and allow to cool. Once cooled enough so you weren't burn yourself, simply squeeze the roasted cloves right out! Store in a Ziploc bag in the refrigerator for up to 1 week, use as needed. Adapted from Jamie Cooks It Up! 's "Mashed Potatoes with Roasted Garlic"
Wash potatoes and peel (or don't peel) as much skin as desired. Chop into 1 in. cubes and put into a large pot. Just barely cover the potatoes with cold water and then bring to a boil and cook until they are fork tender. Using a mixer, beat in the remaining ingredients until you achieve desired texture/taste.